Having never been to Newfoundland before, I was very excited about the opportunity to go to St. John’s, and I was not disappointed. Getting to Canada’s most easterly province is an adventure in itself; I flew Vancouver-Toronto-St. John’s, and factoring in flying and connecting time, it took me longer to get to St. John’s than it takes to fly from Vancouver to Beijing! My flight arrived in St. John’s at 2am, on a very chilly July morning (five degrees), and getting a cab was not an issue. My ride to the Sheraton Hotel Newfoundland took only about ten minutes and the cab driver had me in stitches the whole time! 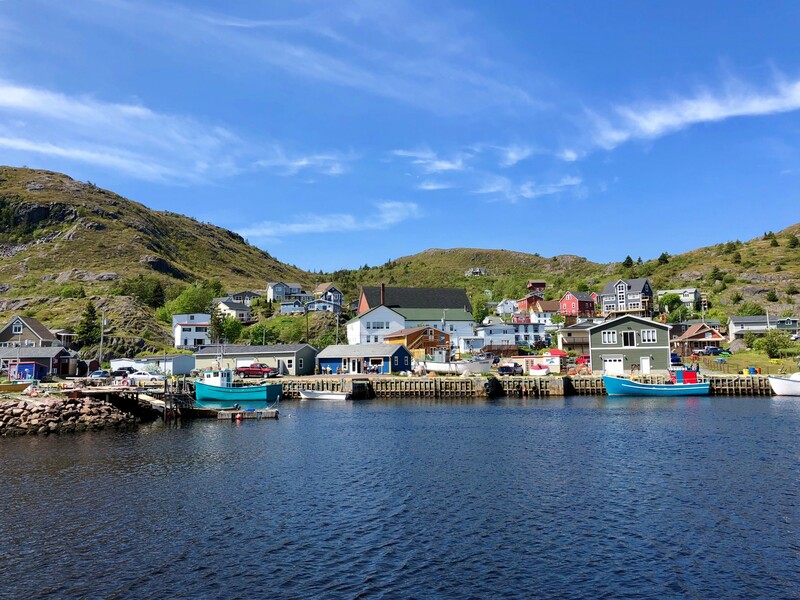 The Newfoundlanders’ reputation of being friendly and down to earth was evident from the moment I arrived: from the lovely airport worker who greeted me at the baggage area and helped me get a cab, to the cab driver to the hotel’s front desk man. The hotel’s location was great, walking distance to most downtown attractions and restaurants, and my room had a lovely view of the Narrows (the entrance to St. John’s harbour), with Signal Hill on the left and the Fort Amherst Lighthouse on the right. It was a beautiful sight to wake up to every morning as this was the view from my bed. The city is quite hilly, but very walkable and safe. I walked all over the downtown area at all times of the day and night and felt completely safe. 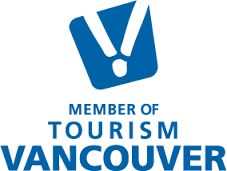 The whole city seems to operate on a slower beat than even laid-back Vancouver. People drive slower, cars always stop for pedestrians, even when a (this) pedestrian is confused by a traffic light and starts crossing the street on a red light. I didn’t even get honked at! Lovely cafes and art galleries throughout downtown and the postcard colourful St. John’s facades were everywhere. I took three organized tours while in St. John’s, all with McCarthy’s Party, a Newfoundland company whose slogan is “Let the locals be your guide”. The day I arrived, after sleeping in until almost noon, I went on the first tour: Historic St. John’s & Cape Spear. I was picked up right at the hotel’s entrance and the guide was great. There were seven of us on the tour. 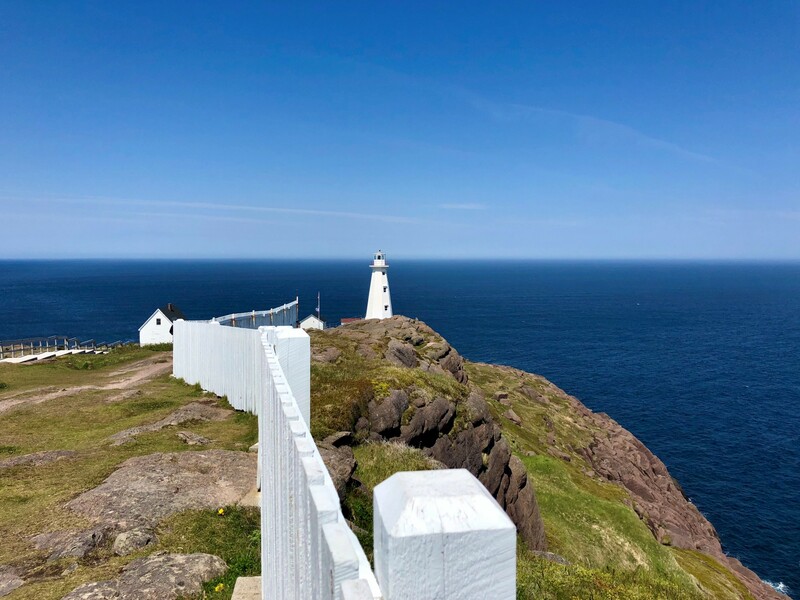 We started by driving around downtown St. John’s where the guide pointed out historical buildings, and points of interest, then onward to Cape Spear, North America’s eastern most point. It was a beautiful and warm day (about 24 degrees in the city) so I wore summer clothes, but I had been warned to be prepared for colder weather. Was I ever glad I heeded that advice and brought a pair of jeans and hoodie with me! Cape Spear was easily ten degrees colder than downtown and very windy. The views are absolutely stunning! The deep blue colour of the water, the sky, and the whales I saw in the water! Really a magical experience. We had 30 minutes there to explore the Cape Spear Lighthouse National Historic Site, with its two lighthouses (the original wooden one built in 1836 and the current concrete one, built in 1955) as well as the bunkers built during WWII. This is a truly beautiful place and while I was too late to see icebergs float by, I was fortunate to spot three whales in the water! From Cape Spear we went to Petty Harbour, a charming town of about 900 people. The colourful St. John’s architecture was also present here, and we arrived just in time to see fishermen bring in their big haul of crab. From there we went to Signal Hill, site of the Signal Hill battle of 1762 and where the iconic Cabot Tower stands. It was also very windy up here, to the point that it difficult taking photos with my phone! Signal Hill offers stunning views of the city and ocean, as well as of the Fort Amherst Lighthouse across the Narrows. Cape Spear can also be seen in the distance. 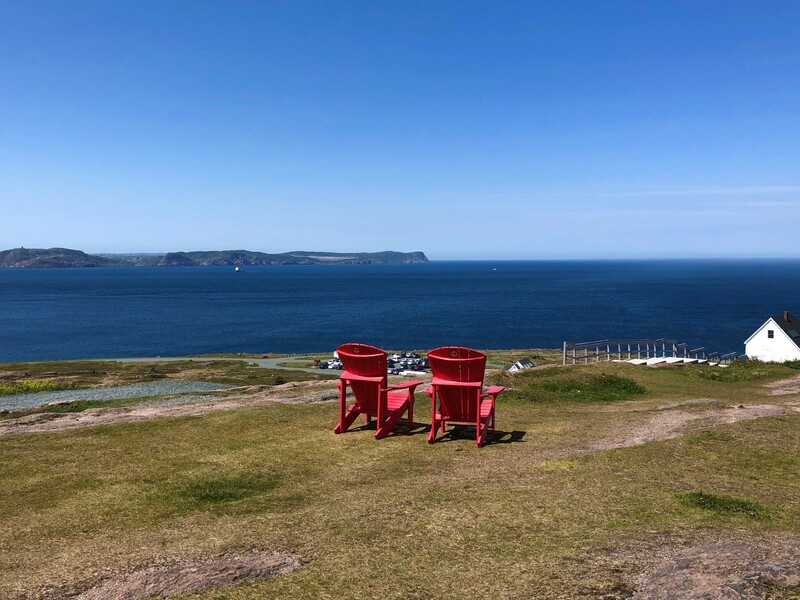 There are hiking trails around Signal Hill and one specifically, the East Coast Trail, can take one from further north on the peninsula even about 300km south to Cappahayden. After Signal Hill we went to Quidi Vidi (the locals pronounce it “kiddy viddy”), which is a charming neighbourhood in St. John’s, with the beautiful eponymous lake, the Quidi Vidi Battery Provincial Historic Site (a significant battery during the war of 1812), the famous Quidi Vidi Brewery (Newfoundland’s largest microbrewery) and the Mallard Cottage (an Irish-Newfoundland style cottage, known as one of the oldest wooden buildings in North America, now a restaurant). This was the end of our three-hour tour and we were taken back to our hotels. 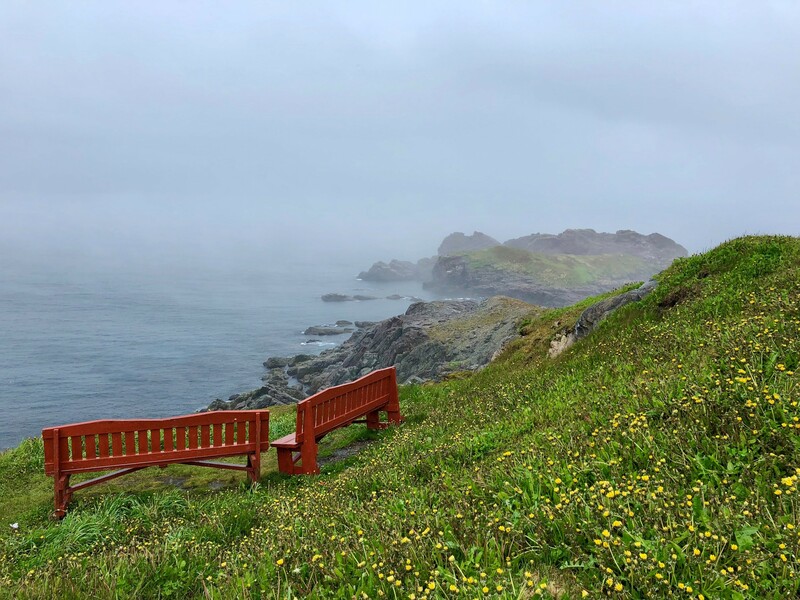 The second tour I took was the full-day Colony of Avalon tour, in Ferryland, for which I was picked up at my hotel at 9am and brought back to the city at 4:30pm. 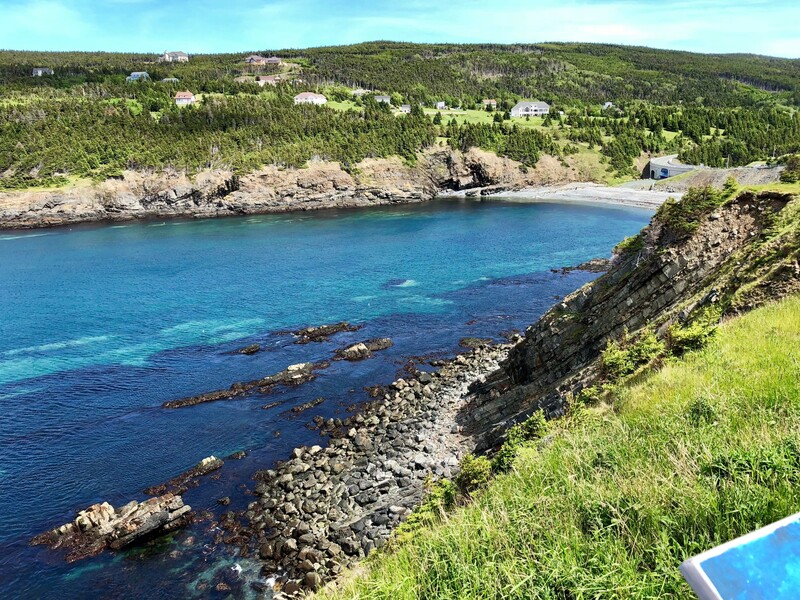 Ferryland is located about 80km south of St. John’s, and an easy drive, was once known as the Colony of Avalon. Established in 1621 by Sir George Calvert (later the First Baron Baltimore), is recognized as one of the best preserved early English colonial site in North America. It was very interesting visiting the museum and the archeological site, and getting a glimpse as to what life was like in 17th century Newfoundland. We also had a picnic lunch at the Ferryland Lighthouse. This was one day where the weather wasn’t that great (it was raining sideways as I walked to the lighthouse! ), so I was very happy that they had a place we could sit inside and have our picnic. The third tour I took was called Bird Island, for which I was picked up at the hotel at 10 am. The shuttle took us down the same highway as the previous day when we went to Ferryland, and dropped us off at a spot we had stopped at the day in before for a bathroom break in a town called Bay Bulls. There we boarded our boat, the Atlantic Puffin, and were taken to the Witless Bay Ecological Reserve, home to the largest puffin colony in North America. En route we got to see more of the beautifully rugged coastline and even got a show put on by a couple of bald eagles! It was a cool and cloudy day, especially cold on the water. I was very glad I wore my ski jacket! Once we got the islands that comprise the reserve (Gull, Great, Green and Pee Pee) we saw puffins as well as common murres, black-legged kittiwake, razor-bill auks and great black-backed gulls. It was fascinating to see all these birds, especially as they interacted with each other as in a nature show. I even got to see gulls raiding murres nests and stealing their eggs! We were also fortunate to see Minke whales in the water! Our guide on the boat was a super funny man named Con, who was also incredibly knowledgeable. A few of us on the tour took them up on their offer to “screech us in”, and so became honourary Newfoundlanders that day. These three tours were very well organised and run by nice and competent guides. I recommend McCarthy’s Party for tours around St. John’s without hesitation. One other thing about this trip that was definitely a highlight was the food! St. John’s has incredible restaurants and I ate like a king while I was there. The most talked about restaurant in the city is Raymond’s, especially since the Anthony Bourdain Newfoundland episode. I tried to reserve a table there 45 days before my trip and no luck. I had incredible meals at Portobello’s and Fish Exchange (surf and turf at both), full lobster dinner at Saltwater Grill, fish and chips at both Green Sleeves Pub and at the Duke of Duckworth pub. I recommend all of these places without hesitation. The best seafood chowder I had in St. John’s (or ever for that matter) was at the Bivver Lounge at the Sheraton. Foodies going to St. John’s will not be disappointed. 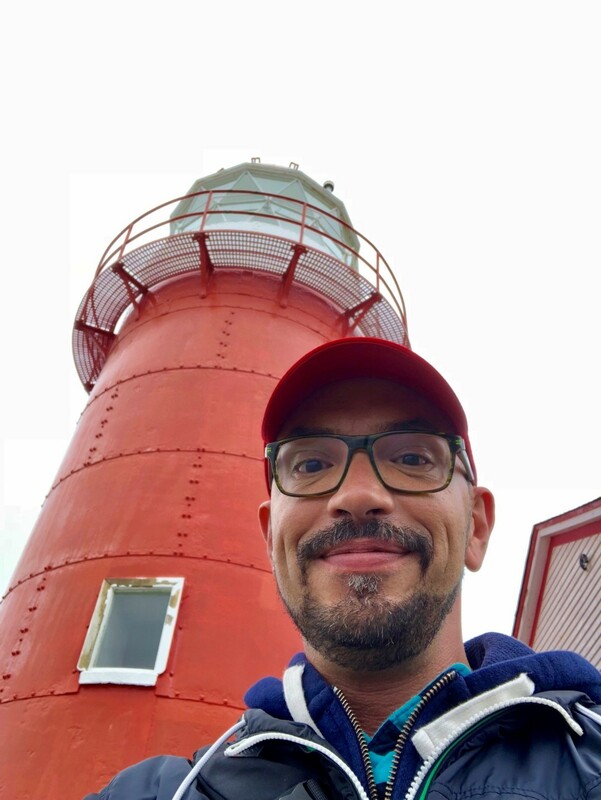 I truly enjoyed my time in St. John’s and look forward to returning there in the future, only this time with more time to explore more of the island. If there is one piece of advice I would offer anyone going to Newfoundland for the first time it would be to pack for all seasons. I was there over July long weekend and had temperatures ranging from 26C to 5C, which felt even colder on the water due to the wind chill factor. Layers are ideal.